DNA supercoiling plays critical roles in several essential DNA metabolic pathways, such as replication, transcription and recombination. Typically plasmid DNA molecules are used to measure DNA supercoiling status inside bacterial cells. 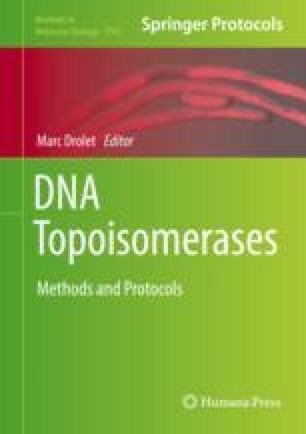 In this chapter, we describe how to isolate plasmid DNA molecules from E. coli cells and determine DNA supercoiling density by 1% agarose gel electrophoresis containing chloroquine using plasmid pACYC184 as an example.